Plank’s Farm Shop is based at the Old Potato Yard, Lydeway, just 4 miles south east of Devizes. The shop has a great reputation for offering a fantastic selection of local produce as well as delicious gourmet treats. Our own made on the farm range includes ready meals, quiches, pies, soups, salads, cakes and deserts all made by our team of chefs in our large kitchen. Our instore butchery is run by C.W. Butchery and offers locally sourced free range pork, lamb and beef as well as free range poultry and game in season.. The old Potato Yard is home to a number of other businesses and makes a great place to visit. 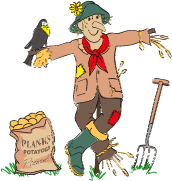 Have a look at The Old Potato Yard page to see what other businesses are here at the farm.